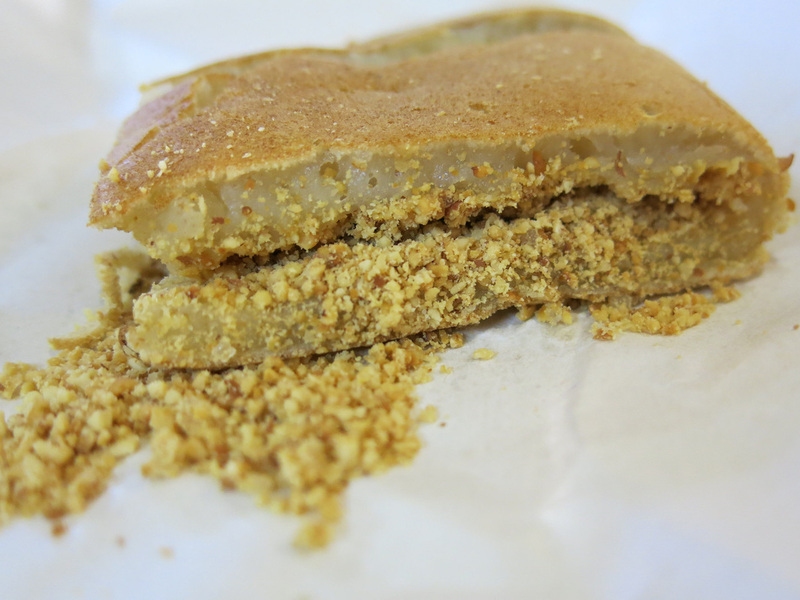 For a first taste of Singapore's peanut pancake its best to start with the best - Yean Heng. This stall prepares a large, 15" inch diameter pancake thats folded in half and grounded peanuts are placed in between. 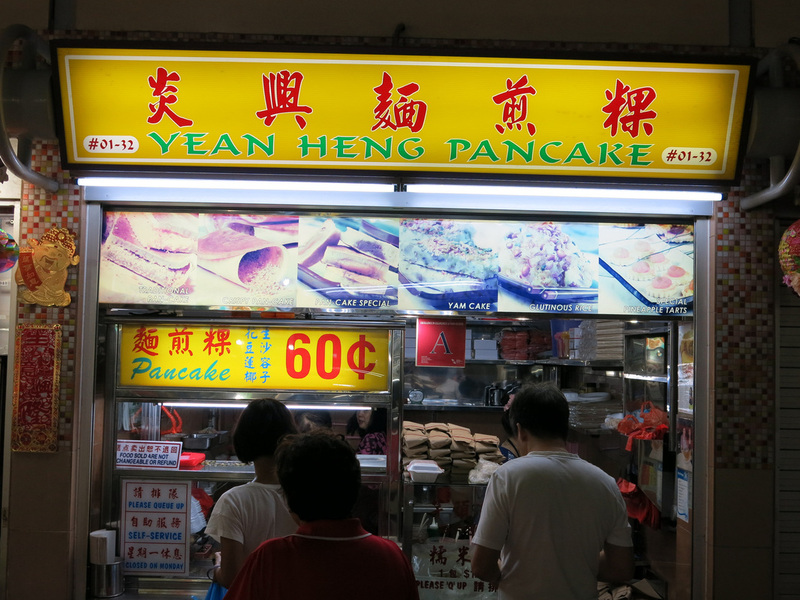 The pancake is then cut into squares that sell for $0.60 SGD each. It tastes good but it's a bit dry so purchase some OJ from the nearby 7-11.